On 8 June 2018, the Government issued a Regulation No. 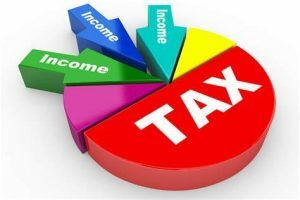 23 year 2018 (“GR-23/2018”) regarding income tax on income received or earned by taxpayers having gross income up to certain amount. GR-23/2018 revokes the previous GR-46/2013. GR-23/2018 is effective from 1 July 2018. GR-23/2018 is aiming to encourage the public to participate in formal economic activities by granting facility and justice to taxpayers having income up to a certain amount for a certain period. There is no change in the threshold of the category/ definition of “small-scale business”, i.e. a local taxpayer having income up to IDR4,800,000,000 per annum. The income tax tariff is reduced from 1% to 0.5%. The type of tax is “final”. The new regulation clearly stipulates that the taxpayer (individual or corporate) is allowed to adopt the normal tax regime (non-final tax) by submitting a notification to the Tax Office. Income received by an individual taxpayer from services in respect of free employment e.g. lawyer, accountant, architect, doctor, consultant, notary, appraiser, actuary, singer, broker, etc. Income not subject to tax. 3 years for corporate taxpayer in the form of limited liability company (Perseroan Terbatas). All information in the tax news or alert has been and is prepared in general terms only. The information is intended as a general guide and shall not be construed as any advice, opinion or recommendation given by GNV Consulting and/or its personnel (collectively “GNV Consulting”). The information is limited by the time available and by the information made available to us. You should not consider the information as being comprehensive, as we may not be aware of all facts or information. Accordingly, GNV Consulting is not in a position to and will not make any representation as to the accuracy, completeness or sufficiency of the information for your purposes. The application of the content of the information to specific situations will depend on the particular situations involved. Professional advice should be sought before the application of the information to any particular circumstances and the information shall not in any event substitute for such professional advice. GNVConsulting is a business advisor independent of any accounting firm, free from conflict and independence issues, providing non-attest services for tax, customs and related trade regulatory issues in Indonesia, as well as business advisory. Our tax and customs advisory team comprises individuals with professional certification and licenses as tax and customs consultants and Tax Court attorneys. © 2018 GNV Consulting Services. All rights reserved. 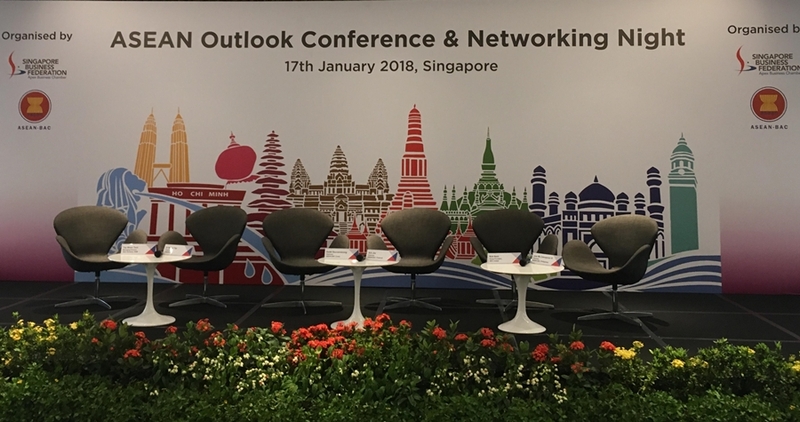 At this event yesterday , we learn’t that ASEAN with her growing population and a GDP of US$2.7billion is the second fastest growing economy in Asia after China. Singapore, as Chair of ASEAN in 2018, will focus on Resilience and Innovation. TAKE-AWAY: Digital economy is the way to go !